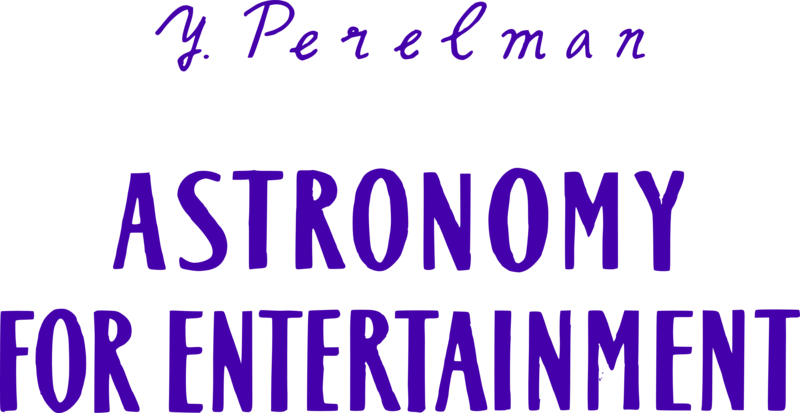 Continuing with Yakov Perelman, we now come to Astronomy for Entertainment. This is a book that I have read as a digital copy only. I do not know if there are any translations in Indian languages, but I know of translation in Spanish. The book discusses many interesting things which will set the imagination running for all the people who will read it. The purpose of the book is to initiate the reader into the basic facts of astronomy. But do not take it as a primer, since our presentation differs essentially from any text-book. Ordinary facts with which you may be acquainted are couched here in unexpected paradoxes, or slanted from an odd and unexpected angle, solely with a view to excite imagination and quicken interest. We have tried to free the theme as far as possible from the professional “terminology” and technical paraphernalia that so often make the reader shy of books on astronomy. omitted in the present book, will, he hopes, be treated in a second volume. The book, it should be said, makes no attempt to analyze in detail the rich content of modern astronomy. The book was translated from the Russian by A. Shkarovsky and edited by J. Gibbons and was published by Foreign Languages Publishing House in 1958. I do not know of any other editions. All credits to original uploaders. 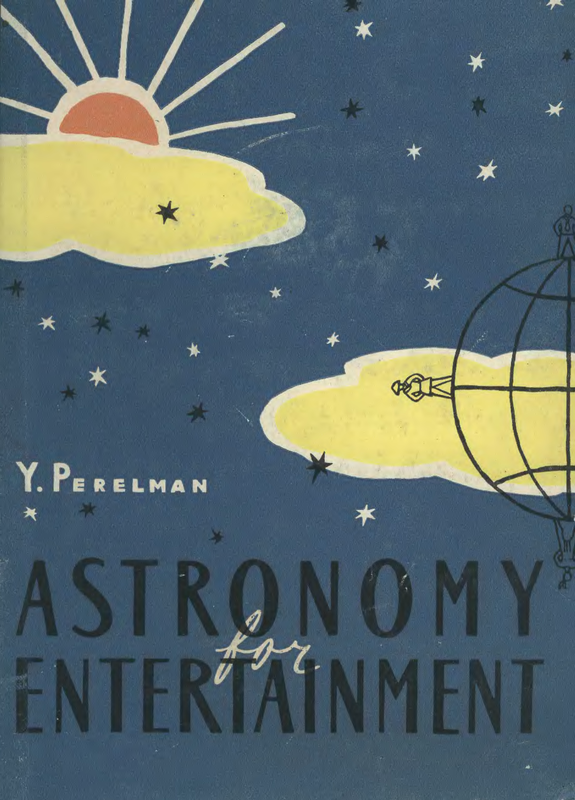 This entry was posted in astronomy, books, foreign languages publishing, mathematics, physics, science, soviet and tagged perelman, popular science. Bookmark the permalink. I have converted this book to PDF with OCR & bookmarks.